You are here:Home » Author: "Shelby Township Dentist"
Dr. Antolak: Hi, this is Dr. Antolak from The Gentle Dentist. Each year for the last 17 years I’ve been coming to Haiti and helping out with a obviously dentistry and but more even have a gift of that is you oura patient who have agreed to donate. Like for example, after we do a crown or a dental extraction, it has a crown on it. We’ve been able to use the scrap metal for that to generate money to help kids in Haiti. I have been doing that, this our fifth year of doing this. And this year we’re in Jacmel. We’re south of Port au Prince, right on the water. And right now we’re working with an orphanage that has around 30 if not more children and Ruthsmie is the Director here at the orphanage. And lastly, I have Jackie Rychel, who I’ll let her tell her story a little bit about the support of the orphans were doing. But first of all, I want to donate. I have $1,500 from people who’ve donated. Once again, their things. And this is for her, this is for the orphanage, for the children. And, I like to just thank you for, for all that. Um, and so what I want to also do is to ask Jackie. Jackie’s is from Ohio and she’s one of the people who started this. Just give a brief history of how this orphanage here is taking care of these children. Jackie: Thank you Robert. And we’re so grateful for Robert giving us this opportunity and giving this to the children. This is a very wonderful orphanage that has a lot of need. It came about after the earthquake in 2010 and these children were living in a school where Ruthsmie it was her own school and she was the administrator of it. And it just so happened that these kids came to pick up supplies, water, clothes, food, and they stayed.They didn’t leave. And some of the missionaries that came to visit would go to the orphanage and help the kids and help Ruthsmie. And it came to my knowledge through those visionaries that there was really extreme need here. And when we went to visit, we saw that these children were not, in fact living in an orphanage. They were living in a school that was used as an orphanage in the evening and all of the sheets that were on the floor, there were no beds, they were pushed aside and the kids would sit at their desks during the day. So from the generosity of Ruthsmie and her husband, Joseph, they decided that they would help these children. And so when we came upon the orphanage, we saw a great need. Our charity is Ministry in Mission and we started raising money and with our partners in Haiti testimony, Sydney Kesa, we began constructing the orphanage that you may see in the background behind this. And so now we’re about three years from that and we have seen children graduate out of the orphanage and go live on their own and more children in need come in. And these kids come in through social services in Haiti. So we know that they have no families and they have no one to take care of them. And we are delighted that Ruthsmie has such a kind heart that she will do this and this is her mission and we help her. Dr. Antolak: So I just want to thank you for being able to be a participant in this process. I will continue to do this over the years and if you want more information on how to maybe support this orphanage, how would they do that? Jackie: Go to our website ministry and Mission Dot Org and you can donate on the website or you can see all of the projects that we have ongoing. And also our contact information is there. My name, I’m the president of Our Name and phone number, all of our board members and email addresses as well. Dr. Antolak: And so by being supportive of what’s happening here in Haiti, really giving to the greater good, you know, Jesus told us to go and make disciples of all and also to take care of the orphans and the widows. And so by doing that we’re trying to do our part of what he’s asked us to do too. So thank you. God bless you. And please be generous in your offerings and we thank you once again from Haiti, so thank you. God bless. It’s common practice for many people to enjoy drinks with family and friends. There’s nothing wrong with relaxing and having fun with friends over drinks. In fact, most people know how to practice safe drinking habits in order to prevent any issues from arising. More people are calling Uber’s and being mindful of their surroundings while drinking than in previous years. These are both great ways to stay safe while drinking, but what about the effect of alcohol on our bodies over time? One area that many people overlook is the impact of alcohol on their oral health. The main issue with drinking alcohol and our oral health is that alcohol affects the balance of good and bad bacteria in our mouths. Disrupting the balance of the bacteria can cause some major issues. 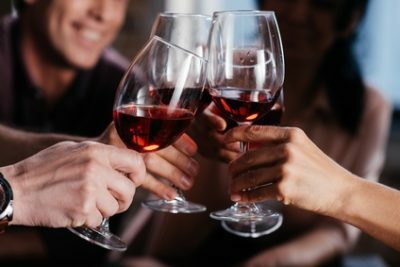 According to a study published in the journal Microbiome, people who consume one or more alcoholic beverages daily will offset the balance of bacteria in their mouths, which can lead to gingivitis, gum infections, cancer, or cardiovascular disease. The study also states that in heavy alcohol drinkers the beneficial bacteria disappeared and that inflammatory bacteria counts increased. Without the good bacteria in our mouths, those inflammatory bacteria are able to wreak havoc on our immune system and general health. The study defines a heavy drinker as a person who consumes one or more alcoholic beverages per day. When asked if better oral hygiene would help drinkers maintain the balance of healthy bacteria in their mouths, Dr. Jiyoung Ahn stated that the research so far did not have the answers. However, she stressed that the fact that changes of the flora of the mouth could potentially cause or prevent diseases is a huge breakthrough. The first step towards maintaining the balance in your mouth is to limit or avoid drinking alcohol. Since the study focused on people who drank one or two glasses of alcohol per day, it can be construed that lowering your alcohol intake could help you maintain the balance of good bacteria in your mouth. While studies haven’t confirmed that better oral hygiene can prevent the imbalance of bacteria in our mouths, it’s still important to stay on top of your regular dental check-ups. During your routine dental check-ups, your dentist will clean and check your teeth for signs of gum disease and gingivitis. Gum disease that is caught early can often be treated with minimally invasive procedures. Most dentists recommend that you have a routine dental check-up every six months to prevent cavities or the spread of gum disease. Just because you drink doesn’t mean that you have gum disease. It does, however, increase your chances of developing it due to an imbalance of bacteria in your mouth. Along with lowering your alcohol intake, you should take your routine dental check-ups seriously. Don’t wait until gum disease and gingivitis cause you pain. Instead, give The Gentle Dentist a call today at (586) 247-3500 to schedule your dental check-up today! Many people are overcoming their dental phobias by getting routine dental check-ups done. During these check-ups, patients are having their teeth cleaned, cavities filled, or veneers placed with relative ease. But what if the moment that most people dread happens and you have a painful dental emergency that needs to be treated immediately? While we all hope to never have a dental emergency of our own, it’s always a great idea to understand what to do if one happens and what to expect during your visit to the dentist. A dental emergency is any dental problem that requires immediate treatment to save a tooth, alleviate severe pain, or stop bleeding. Even if you tell yourself, it’s just a toothache, you shouldn’t have to live with the pain for weeks until you schedule an appointment. Instead, reach out to your dentist and let them know you’re having a dental emergency. This is particularly important because some infections that cause tooth pain can spread and cause life-threatening infections like sepsis. The very first course of action during a dental emergency is to call your dentist and explain what’s happening. If your issue isn’t something that can be treated in office, it’s important to find that out prior to driving to your dentist’s office. In the case of a tooth that’s fallen out, your dentist’s office can give you tips to help preserve your tooth until it can be placed again. Keep in mind that when you’re going to the dentist for a dental emergency, it’s a good idea to have someone drive you. If your dental emergency requires a procedure to correct it, driving may be difficult afterward. Having a family or friend drive you to your dentist can save you the hassle of having to call a ride service home. You may be apprehensive about calling your dentist’s office and telling them you need to be seen immediately. However, there are a few things you can expect when you call us here at The Gentle Dentist. Expect an understanding staff! We understand that tooth pain can be unbearable or that unforeseen emergencies happen. There’s no reason to be ashamed about coming in for a dental emergency. You can expect that we’ll work with you to get you the treatment you need in a timely manner. Expect a thorough work-up. In order to alleviate the pain or resolve the dental emergency, it’s important to get to the root of the problem. This may involve questions about what happened, x-rays, and an exam by your dentist. Expect that we’ll do everything in our power to help. In many cases, dental emergencies require a dental procedure of some sort. You can expect us to perform necessary procedures to alleviate pain or save your tooth. Any emergency can be a scary ordeal. The best course of action is to be prepared and know how to react in an emergency. Remember, if you’re experiencing a dental emergency in the Macomb area, give The Gentle Dentist a call at (586) 247-3500! Infants, in general, are more prone to different health complications because their bodies are in a constant developmental phase. In a similar manner, infants and toddlers are vulnerable to periodontal issues for multiple reasons. Tooth decay and other periodontal issues in formative years can lay the foundation for lifelong dental health complications. However, it’s possible to take care of your child’s dental health by the following the tips recommended by seasoned pediatric dentists. Majority of dental experts recommend parents to take their child for his first dental checkup no later than his first birthday. This initial dental checkup is central to implement preventive dental care in place. 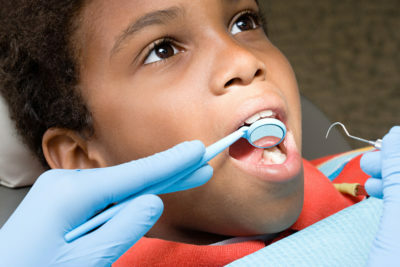 Having your children examined for their dental health at that point of their age will protect them from suffering and hefty dental care bills at later stages of life. To protect them from any oral health issue and to indoctrinate a hard-to-break dental cleaning habit, start taking care of their oral cavity from infancy. Gentle brushing of gums with baby toothpaste can be the start of this. After the growth of the first teeth, make sure that it is being brushed by baby toothpaste twice a day. Also start their flossing routine as soon as two teeth are grown side by side. To understand the techniques of infant dental care, consult any good pediatric dentist. It is pretty common for parents to put children to sleep with a bottle in their mouth, which is usually filled with milk and other sugary liquids. The sugar and other remnants sticking to the teeth and gum can result in tooth decay. Therefore, avoid giving your child the bottle as a lullaby when he/she has grown teeth. If the child is not able to sleep without sucking on the bottle, then only fill it with water. Children love to imbibe on sugary liquids. However, the detrimental effects of sugar for the oral cavity, particularly for teeth, are also pretty known. Therefore, it is important to cut down the daily sugar intake of the child. According to the recommendation of pediatric dentists, a child 2-4 years old must not consume more than four ounces of sugary fluid daily. Also, try to limit the sugary treats only for particular occasions. Excessive consumption of sugar is not just bad for oral health, but also for the overall wellbeing. Use of pacifier certainly has some benefits during infancy. For instance, it is believed to lower the risk of SIDS in infants. Nonetheless, the prolonged use of a pacifier can disturb the natural growth of teeth. The extended sucking on a pacifier can particularly disturb the growth of upper front teeth. By acting upon the above-discussed tips, parents can maintain a good dental care routine of their children. To know more about pediatric oral health care, get in contact with The Gentle Dentist. Please visit our website at www.TheGentleDentist.com or call us at 586-247-3500. The Temporomandibular Joint (TMJ) is a sliding hinge between the jawbone and temporal bone. The TMJ disorder entails the pain in the joint and the connecting muscles responsible for jaw movement. It is often is caused by the combination of factors including arthritis, jaw injury, and genetics. People suffering from TMJ disorder also suffer from eroded teeth crowns due to excessive reflex teeth grinding. People suffering from TMJ disorder are often recommended to wear mouthguards to deal with the stiffness of jaw muscles and excruciating pains. There are two major reasons why TMJ patients are prescribed the use of a mouthguard. Many TMJ patients involuntarily grind and clinch teeth during sleep. As mentioned earlier, bruxism can instigate the wear and tear of teeth crown. By wearing mouthguards before going to bed, people suffering from TMJ disorders can prevent that involuntarily clinching, which can result in a deteriorated physical state of teeth. Many people get over-the-counter mouthguards for the purpose. They might help some, but mass-produced mouthguards are not manufactured for custom fitting. So, there are strong chances that patients don’t get any benefit from OTC mouthguards to prevent involuntary clenching and grinding. One can get a custom-fitted mouthguard from a dentist office manufactured according to the dimensions of his oral cavity and corresponding jaw bone. Dentists also offer specialized mouthguards solely made to ease the symptoms of TM disorder. These special mouthguards are called NTI (Nociceptive Trigeminal Nerve Tension Suppression System). They are designed to put the troubling jaw in a normal resting position that prevents stiffness of the connecting tissues and also limits the involuntary jaw movement. Many patients have succeeded in managing their TMJ symptoms with the use of custom-made NTI devices. While the use of different types and forms of mouthguards can act as a successful conservative treatment. Nevertheless, it is not an absolute solution for TMJ symptoms. Many people can’t find any relief even after using custom-made mouthguards and NTI devices for a long time. For that matter, dental experts also make use of some other conservative treatment methods for providing necessary relief to troubled TMJ patients. For instances, they employ particular massaging techniques and stretching exercises to improve the movement of the TMJ joint. Similarly, nonsteroidal anti-inflammatory drugs are also prescribed for treating the stiffness of connecting muscles. Some people also go for alternative therapy techniques such as acupuncture and trigger point injections to get rid of the troubling symptoms inflicted by TMJ disorder. When all the above mentioned non-invasive conservative measurements fail to produce desired results, dentists have to resort to a surgical solution. There are two least non-invasive surgical techniques usually offered to treat the issue of troubling TMJ joint. Persisting with the symptoms of TMJ disorder can only aggravate the existing condition. Therefore, the wise move is to get in immediate contact with any good dental care facility such as The Gentle Dentist that also provides exemplary services for treating TMJ related issues. We can be reached at 586-247-3500. The small puss-filled blisters that appear on the internal lining of the oral cavity, nostrils, and lips are called cold sores. This oral condition is itself not a disease, but a major symptom of herpes simplex type 1. In some cases, it highlights herpes simplex types 2 as well. In the US, roughly 50-80 percent adult population is suffering from oral herpes. All these herpes patients are automatically susceptible to cold sores. As mentioned earlier, herpes virus is the main reason for the development of these itchy painful oral blisters. It is important to mention that cold sores don’t just appear as herpes virus enters the affected person’s body. In most of the cases, the virus remains dormant and only gets triggered when the body undergoes a noticeable physiological change such as muscle fatigue or an injury. In some instances, it becomes difficult to differentiate cold sores and canker sores at their onset. Since cold sores are a symptom of another disease, therefore several factors help in identifying if the given condition is cold sores or canker sores. Cold sores are often larger in size in comparison to canker sores and also contain puss. The formation of cold sores is often accompanied by swelled lips, sore throat, swallowing difficulties and bloated glands. 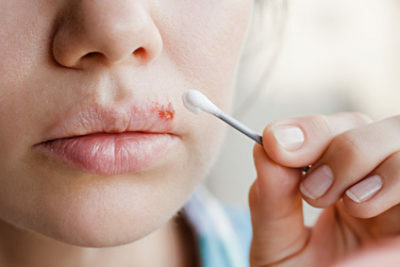 In some cases, high fever, dehydration, nausea, and headache also affect the people suffering from cold sores or herpes. Cold sores outbreak is an extremely contagious condition. A burning and itching sensation in and around the mouth is usually the first indication of a cold sore It is followed by the development of fluid-filled sores that usually appear on the periphery of the lower lip. A yellow crust is formed and gradually erodes leaving inflamed skin exposed, which gets self-healed without leaving scars. The whole developmental phase of cold sores takes nearly two weeks. For people experiencing cold sores for the first time, physicians usually employ two methods to verify whether the condition is a symptom of herpes. Like canker sores, cold sores also disappear within a week or two due to the body’s self-healing process. Nevertheless, different medical treatments are employed in order to alleviate the inconvenience and irritation caused by the condition. Over-the-counter and prescribed antiviral medications are often used to cut down the span of recurrent cold sores. OTC antiviral products usually come in the form of ointments and applied on the sores for 4-5 times a day for better results. Physicians also recommend painkillers in cases where patients are suffering from severe burning and itching. Avoiding direct contact with the people suffering from cold sores is a must-taken preventive measure. To know more about the condition and treatment of cold sores, get in contact with The Gentle Dentist. Give us a call today to schedule an appointment, and see just how caring your dentistry can be, at (586) 247-3500! Whether its cigarettes or chewing products, tobacco consumption is detrimental for human health in each and every case. If we talk about particular harms of tobacco use, then oral cavity bears a lot of brunt of this unhealthy habit. Let’s have a look at some of the many perilous implications of the regular use of tobacco for oral health. Oral cavity with stained teeth can’t really warrant a good confident smile. People can’t keep up their confidence level in social situations if they are suffering from the problem of tainted teeth. Regular smoking and the habit of tobacco chewing gradually start the process of teeth discoloration. The affected people only get the reality check when they stumble upon their own smile spoiled due to yellow teeth. In order to get the natural sheen of your tainted teeth and confidence back, the first thing you have to do is quit the bad habit of tobacco use. In addition, visiting a dentist office for teeth whitening procedure would also help. When taste receptors of the tongue are constantly plagued by nicotine and tar, they start to lose their natural ability to appreciate different tastes. Since olfactory sensors and taste buds are strongly interconnected, therefore the blunted activity of one sense also affects the other. Chainsmokers usually have to deal with this problem where they can’t appreciate the lusciousness of different food items to their fullest. More often than not, digestive issues and plaque buildup in the oral cavity are responsible for bad breath. One can deal with this type of bad breath with good teeth cleaning routine and healthy eating. However, people suffering from bad breath because of regular use of tobacco can get rid of this problem only after quitting the bad habit. Like stained teeth, bad breath also makes it difficult for the affected people to steer through public interactions. Longtime smoking actually weakens the immune system, which slows down the recovery from any dental health issue or surgery. On the other hand, the regular use of tobacco speeds up the process of tooth decay. Instances of gum inflammation also see an uptick in smokers and other tobacco users. Teeth whitening and bleaching treatments can’t give desirable results if the person keeps on consuming tobacco. Similarly, other restoration procedures are also spoiled by tobacco use. For instance, the newly installed crown can quickly get rough margins because of the gum recession instigated by smoking. This is the most dreadful oral health implications of the incessant use of tobacco. People consuming tobacco in non-smokable form are most vulnerable to develop oral cancer. 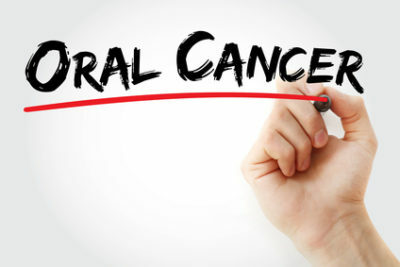 Besides inflicting oral disabilities, a late-stage oral cancer can also aggravate into fatal consequences. For better oral health, the first thing a person has to do is to quit this unhealthy habit. It is possible by combining strong resolve and some prescription medicines. 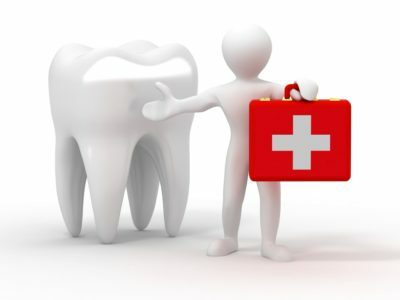 Secondly, get in touch with any good dental clinic for the overall restoration of oral health. The dental and oral health experts at The Gentle Dentist have the expertise to deal with detrimental effects of tobacco use on oral health. Please visit our website at www.TheGentleDentist.com or call us at 586-247-3500. A common dental procedure that many people have heard about or need themselves is having wisdom teeth removed. There are a variety of videos of people after they’ve had their wisdom teeth removed behaving in a goofy manner after the procedure. The internet seems to light up with these videos. While viewers get a good laugh at these videos or have heard of this common procedure, many people still don’t understand why wisdom teeth need to be removed or what to really expect after the procedure. When people refer to wisdom teeth, they are referring to the third set of molars that generally appear between the ages of 17 and 21. These teeth emerge behind the existing molars on both sides of the upper and lower jaw. Wisdom teeth can be helpful for chewing food, but when they become painful or cause problems the best solution is to have them removed. If your wisdom teeth can help you chew, you might be wondering why you would need to have them removed. Wisdom teeth that are healthy and have grown in completely, often don’t need to be pulled. For many people, that simply isn’t the case, however. Wisdom teeth that don’t have enough room to grow can grow in at an angle and cause problems. Three common problems that can require wisdom teeth removal are as follows. Impacted Wisdom Teeth. Wisdom teeth that fail to emerge completely and become trapped often require removal. 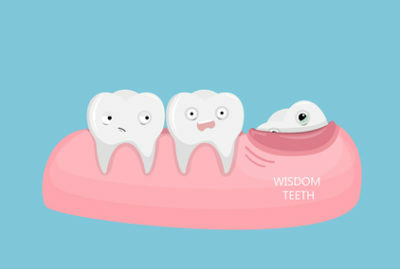 Wisdom teeth that are impacted can cause swelling and pain along the gums and jaw. Infections Around Wisdom Teeth. Wisdom teeth that are partially or fully impacted can become a breeding ground for bacteria and cause painful infections. Some people will even develop cysts around their gum line and the surface covering their wisdom teeth. Wisdom Teeth That Cause Alignment Issues. In some cases, wisdom teeth that don’t have room to grow in straight will push through sideways and crowd the surrounding teeth. This overcrowding can push and damage healthy teeth and mess up the overall alignment of your teeth. You may be wondering how difficult the healing will be after having your wisdom teeth removed, especially after seeing videos of people on strong medication. 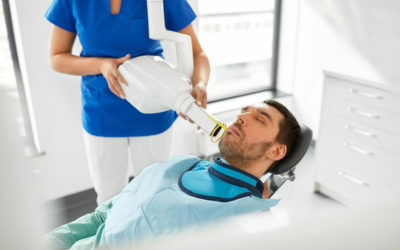 While having wisdom teeth removed is one of the most common dental procedures, it still can require a measure of anesthesia. Not all patients opt for general anesthesia, but will often get numbing shots and painkillers. The first 24 hours after having your wisdom teeth removed, your mouth may be swollen, painful, or bruised, but those feeling generally subside to general soreness in just a few days. In fact, the average person returns to work 1 to 2 days after having their wisdom teeth removed. Having your wisdom teeth removed may be a necessary part of keeping your mouth healthy, but it doesn’t have to be scary. If you’re unsure about whether your wisdom teeth could cause problems down the line or need to be removed, the best option is to stop in for your regular dental check-ups. Give The Gentle Dentist a call today at (586) 247-3500 to schedule your appointment! Do you often experience chronic pain or discomfort in your jaws? If yes, chances are you might be suffering from TMJ. Temporomandibular disorders can cause discomfort and pain in the jaw point, which is known as temporomandibular joint (TMJ). TMJ can cause pain in the surrounding tissues as well. The nature of symptoms ranges from slight discomfort to severe pain. As it turns out, every dentist has a different method of treating TMJ. Having the basic knowledge of TMJ’s causes and the treatment options can prove to be beneficial for you if you’re seeking relief from TMJ disorder. The joint at the intersection of the lower part of the skull and the lower jaw is called the temporomandibular joint. The function of this joint is to allow horizontal and vertical movement of your jaw. When you feel pain in this joint and the muscles around it, it’s said you’re suffering from TMJ disorder. One of the major symptoms of this disorder is the clicking sound of the jaw. It is caused when the disk inside the joint shifts. At times, this clicking sound is loud enough to be heard by people standing near you. This is a very common symptom and there’s really no need to seek treatment for it. However, treatment is recommended when the clicking sound is accompanied by discomfort and pain, or if it feels that your jaw gets stuck when you open or close your mouth. Another common symptom of TMJ is muscle pain. If you feel the muscles of your temples and cheeks are causing you discomfort, especially in the morning when you wake up, you need to consult a dentist. The stiffness that you feel in the morning is usually caused by the chronic habit of teeth clenching during sleep. In order to keep your teeth from coming into contact forcefully during sleep, it is recommended to get an occlusal night-guard designed for your teeth. The third symptom of TMJ is experiencing sharp pain in the joint itself. Like all the joint pains, this one too is classified under arthritis. Unfortunately, there is no cure for this kind of pain and you have to control it by taking painkillers, undergoing physical therapy, and a soft diet. Although the pain in your jaw joint may indicate that you are suffering from TMJ, there is a possibility that the pain is caused by other parts of your body, considering that jaw joints share the same network of nerves with teeth, sinuses, and neck and back muscles. That’s why before assuming that you have TMJ disorder, visit a dentist for a proper diagnosis. There are generally two methods for treating TMJ. The first one is less invasive and includes orthopedic procedures, like physical therapy, exercise, light stretching, and massage to strengthen the joint muscles. The second method is a little more aggressive. 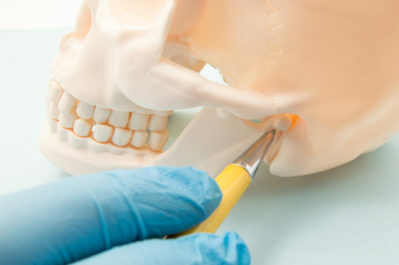 It includes treating bad bites and malocclusions to treat the pain you feel in your jaw joint or surrounding muscles. 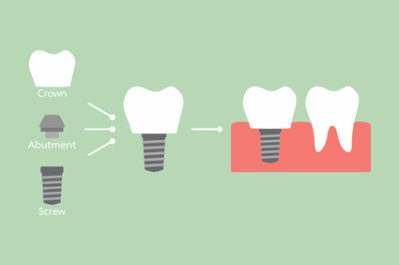 This method involves invasive procedures, like teeth reshaping and crowning. For a reliable diagnosis and treatment, contact The Gentle Dentist today if you’re experiencing pain or discomfort in your jaw joint. Please visit our website at www.TheGentleDentist.com or call us at 586-247-3500. We look forward to hearing from you!